Here are a few more pictures taken in the Benezette area of the Pennsylvania Wilds, which is considered the heart of Pennsylvania’s elk country. Between a trip in mid-March and one this past weekend I ran into two herds totaling over 50 elk. 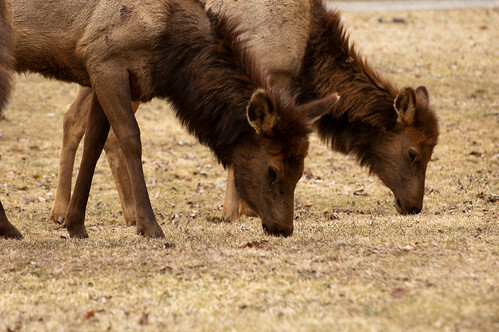 One herd seemed very acclimated to people as the elk were grazing right on the lawns in the village, while the other herd was south of town in a more “wild” setting. 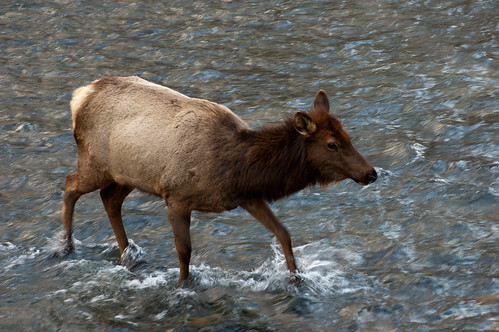 Elk are herbivores. 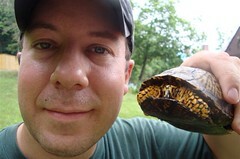 Their diet consists largely of grasses, but they will also eat twigs, tree bark, leaves and shrubs. They have four stomach chambers, one for storage and three for digestion. 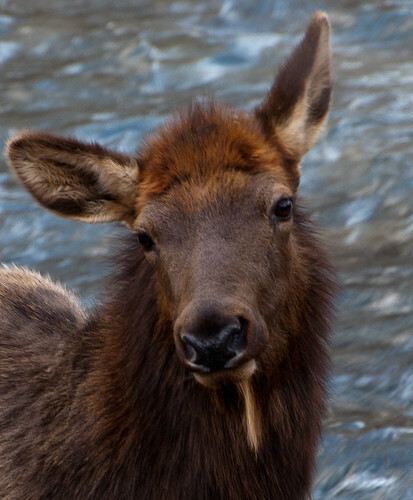 You might imagine it takes a lot of grass to fuel an animal this big – one study showed that elk ingest 9 to 15 pounds of plant material each day. 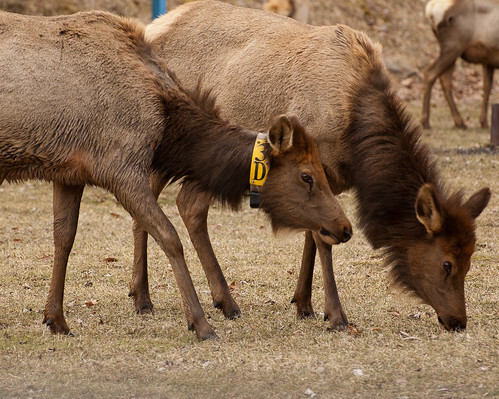 Scientists have been using telemetry to monitor the range, population and mortality of the Pennsylvania elk population. 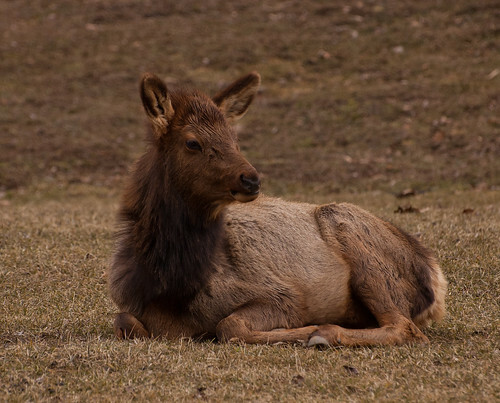 Some of their findings include: 1) the different herds do not mingle very often, 2) female elk (cows) will generally stay in the area where they are born, and 3) the calf survival rate is about 70%. Most of this year’s calves will be born in late May or June. Like deer calves, they will have spots when they are born. 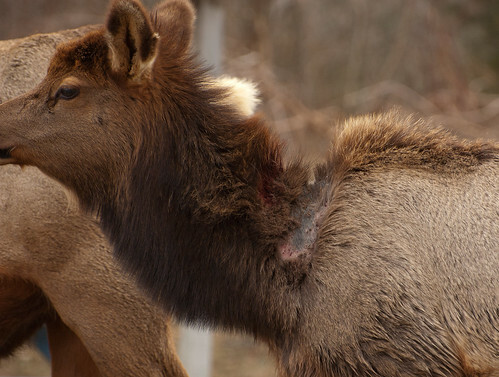 Several of the elk seemed to have some sort of disease or parasites on their upper back. In this picture it looks like the fur has been rubbed off down to the hide. I have seen something similar in moose where the underlying cause was ticks. This entry was posted on 11 April 2013 by patacoate. 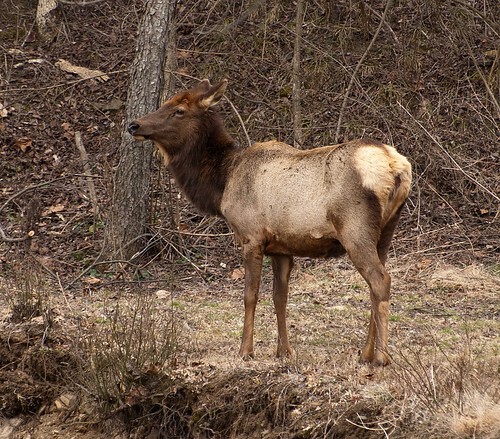 It was filed under iPhone and was tagged with Benezette, Elk, Pennsylvania elk, Pennsylvania Wilds. way keep up the nice quality writing, it’s rare to see a great blog like this one these days.